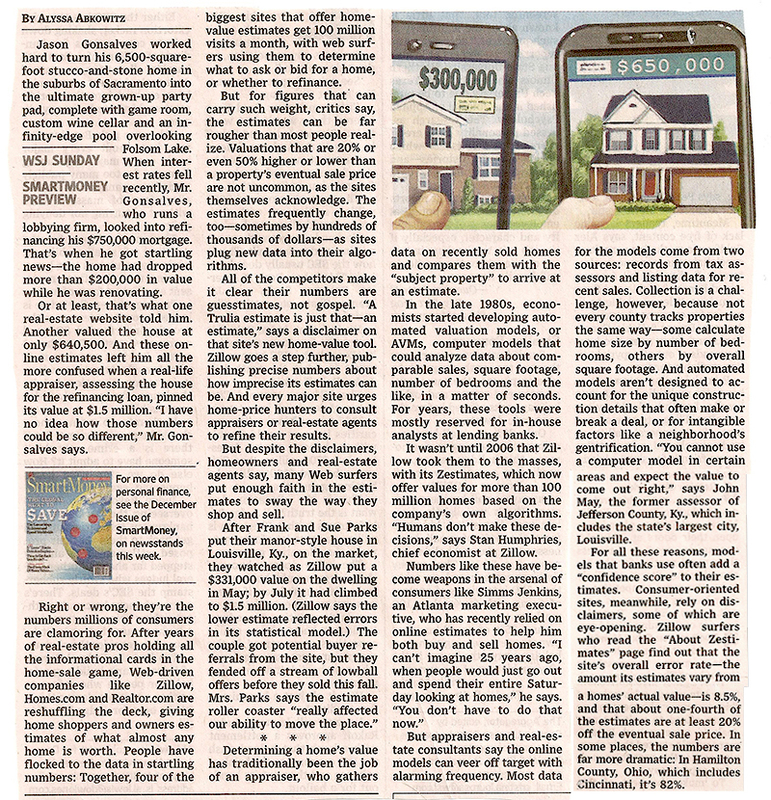 Does Zillow really know the value of your home? Not hardly. 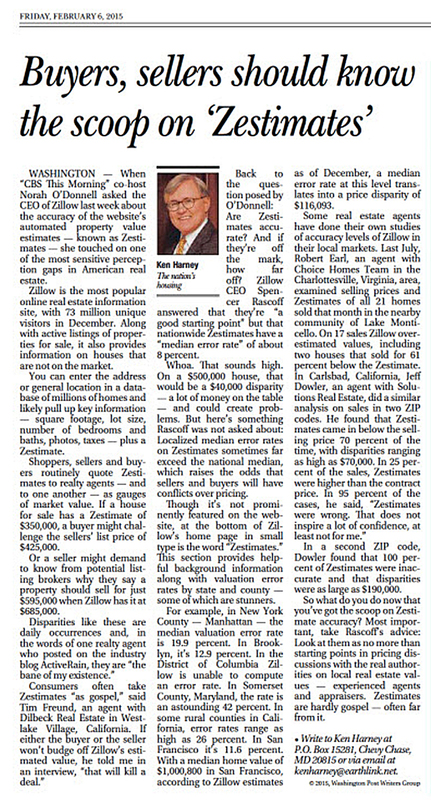 So when was the last time Zillow was inside your home, or drove down your street? Let me guess...on second thought, that's what they do. 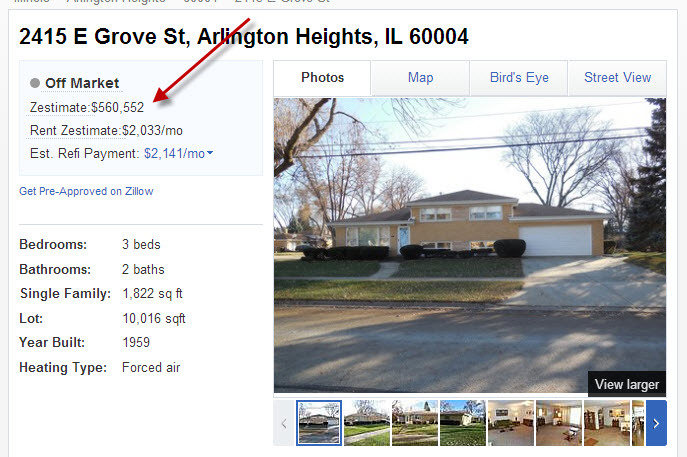 Or try this, Zillow values 2415 E Grove in Arlington Hts. at $560,552 on 6/27/14 on 4/3/2014 it sold for $303,000.